Just wanted to give a quick shout out to some old fossil friends of mine. Horton Bluff/Blue Beach is a pretty cool place and I have fond memories of field trips out there during my Dalhousie days. Between this new paper and the recent paper describing the Permian to Jurassic assemblage of tetrapods, it’s been a good time for Nova Scotia palaeontology. Your friendly neighbourhood ankylosaur palaeontologist, in the before time (i.e. 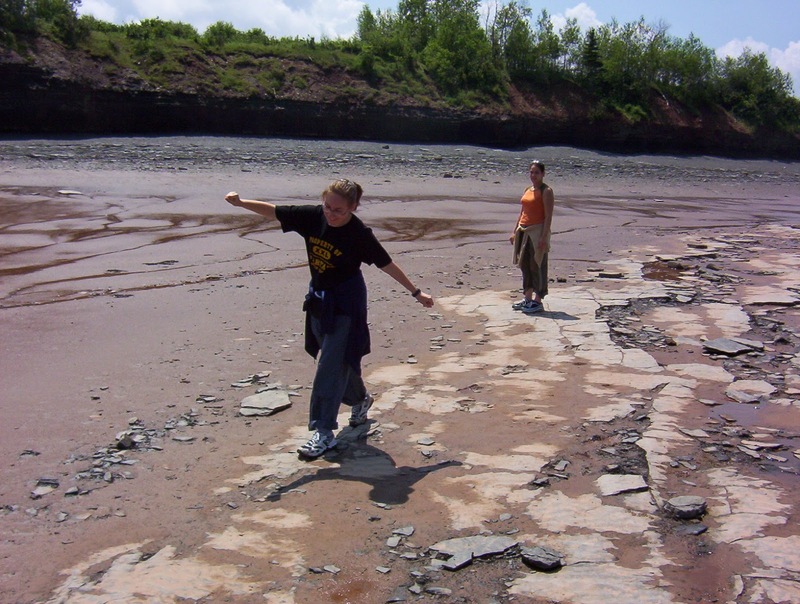 2003), at Horton Bluff, following in her tetrapod ancestor’s footprints. It’s goopy there. Which of course makes me miss it all terribly. Anderson JS, Smithson T, Mansky CF, Meyer T, Clack J. 2015. A diverse tetrapod fauna at the base of ‘Romer’s Gap’. PLOS ONE 10:e0125446. Sues H-D, Olsen PE. 2015. Stratigraphic and temporal context and faunal diversity of Permian-Jurassic continental tetrapod assemblages from the Fundy rift basin, eastern Canada. Atlantic Geology 51:139-205.